We all remember the original and classic Bobblehead Dog!?!? Well now we have Version2.0 of Bobble-Head Dog's! These adorable hand painted Bobble-Head Dog's, will keep you smiling all day and night when cruising around town in your wheels. They will just melt your heart. We have got all your favorite breed's, if you don't see your's check back with us, as we are adding more to the collection! They’re so adorable, you may want more than one! 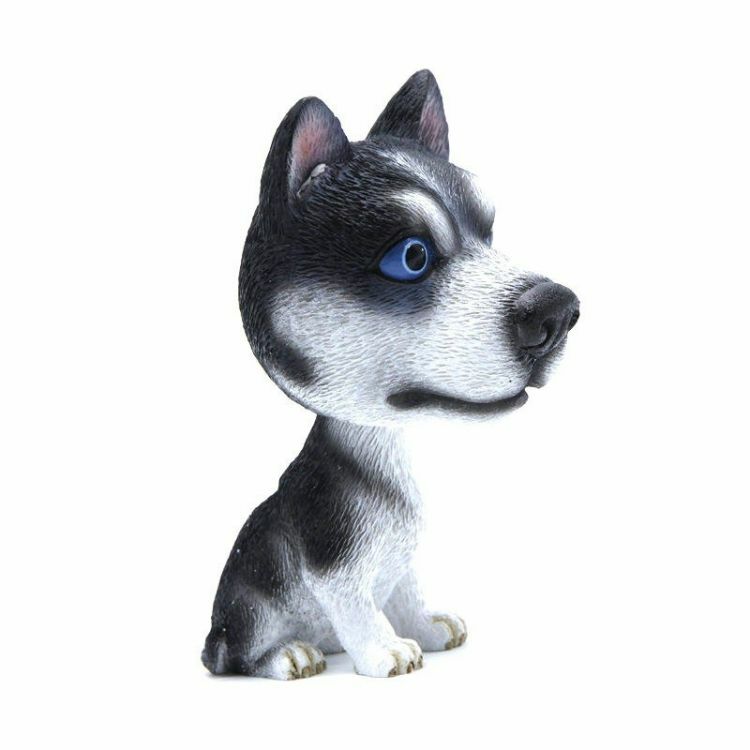 Its head is oversized compared to its body which makes the Bobble-Head Dog so much fun. Instead of a solid connection, its head is connected to the body via a spring and the slightest tap or movement will cause the head to bobble around, hence the name; Bobble Head! Can an easily fixed on anything; car dashboard, table, desk the list is endless. Where are you going to put yours? Makes a fabulous gift. The dog is made of a high quality, hand-painted resin that is more durable and less fragile than a clay-based material and also makes him / her look very realistic. This makes the ideal gift for friends and family who are car owners and dog lovers! There are currently more than 18 Bobble-Head Dog breed's to choose from plus we have added some puppies! We have got all your favorite breed's but check back with us as we are adding more to the collection! They’re so adorable, you may want more than one!